The design clock frequency of Audio CODEC is 18.432 MHz. 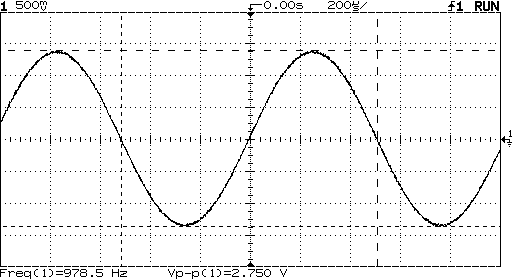 The Audio PLL generates 2/3 of its input clock freqeuency (27 MHz) or 18 MHz. 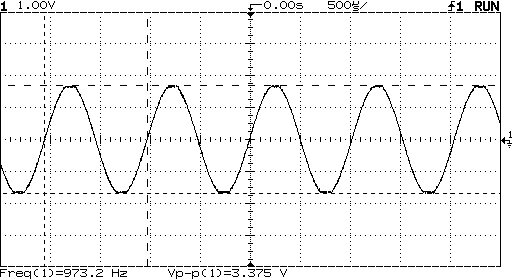 Working backwards gives a clock divisor of 18 MHz / (48 KHz * 16 * 2) = 11.7185, which is not an integer number. 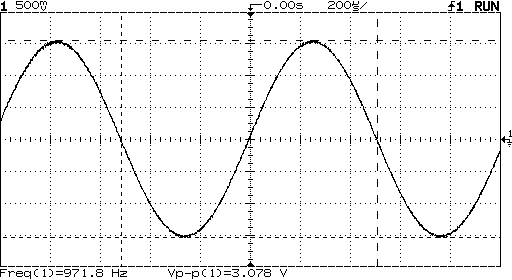 The actual sample frequency is 18 MHz / (16 * 2 * 12) = 46.875 kHz. Our wave table has 48 points per cycle, for a calculated frequency of 976.5625 Hz, in good agreement with the measured frequency (on the Agilent multimeter) of 976.56 Hz. 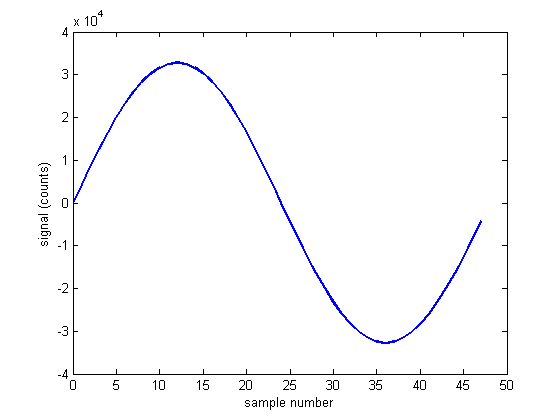 Note that the sine wave is slightly clipped at a volume setting of 0x7B (maximum value is 0x7F).